Speakers: Dalia Al-Othman will give the Keynote Address on August 1, and conduct a breakout session the following day. There will be a diverse group of speakers and 39 breakout sessions. Topics: Dalia Al-Othman&apos;s Opening Keynote Address will discuss: "The Medical Record and Beyond: Patient Advocacy in Today’s Healthcare System." Other speakers will cover a variety of additional topics. Please click here to view complete information about this event, including registration and hotel information, speaker schedules and topics, and much more. The healthcare documentation arena is constantly evolving, impacted by technology, workforce development, fiscal constraints on the healthcare system, and the changing demands of the patient consumer. It&apos;s an industry that finds itself in a time of transition, and attending ACE will provide you an opportunity to keep yourself ahead of the learning curve. We encourage you to join us at ACE 2013 to further your professional growth, catch up on what&apos;s happening in the industry, learn about the latest in evidence-based practices, expand your knowledge, and broaden your perspectives—all while enjoying Disney World. Speakers: Dalia Al-Othman is among the diverse faculty of experienced patient advocates who will cover the latest knowledge in patient advocacy and share real-world examples that will aid advocates in their practices. 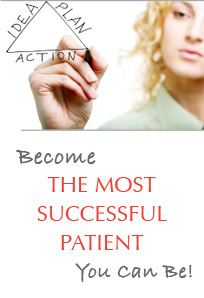 Topics: Dalia Al-Othman will cover "How to Legally Bulletproof Your Patient Advocacy Business." Other speakers will cover a variety of additional topics. Please click here to download the brochure for this event (which shows the complete list of speakers and topics). This day-long interactive learning event is designed for both independent patient advocates and professionals employed by hospitals, managed care companies, and other settings throughout the continuum of care. The conference will shed light on the emerging practice of patient advocacy, provide education to like-minded advocates, and promote a culture of clinical and professional competence that will improve the health and welfare of clients. Participants will have the opportunity to build their own skills and knowledge while meeting and networking with colleagues and mentors. Who Should Attend: Case managers; geriatric care managers; healthcare advocates; human resource professionals; legal nurse consultants; life care planners; nurses; patient advocates; patient activists; social workers; behavioral health professionals; administrators; ombudsmen; pharmacists; physicians. Participants will gain insight into the collaborative role patients and healthcare providers play in achieving positive healthcare outcomes, and will learn how to effectively engage them in shared decision-making. Participants will gain insight into the characteristics and roles of the patient advocate; the prevention of hospital-acquired infections and medical errors; the importance of patient-centered care; the breakdown of communication that can occur between patient and providers, and how to prevent it; the nurse as patient advocate, and potential conflicts; the problems inherent in the current health care system, and how to fix them; creating a stress-free hospital experience for the patient from surgery to discharge; and more. Please click here to watch the video of this event. Topics: Healthcare-associated infections; Serious Reportable Events*; incentivizing health care improvement; enhancing transparency; reducing medical errors; improving patient safety; and promoting patient engagement in health care decisions. Please click here to view the Department of Public Health’s most recent public report on healthcare-associated infections at Massachusetts hospitals (released in February, 2012). *Serious Reportable Events (SREs) are incidents involving death or serious harm to a patient resulting from a lapse or error in a healthcare facility. SREs are commonly referred to as "never events." An increasing number of states require that SREs are reported (including Massachusetts). From the Brink and Back: How One Patient’s Struggle with Infection Led to a Higher Calling.